In an exclusive interview to ANI, Rajnath Singh underlined the fact that India had no intention to cause civilian casualties or get into a direct confrontation with Pakistani forces while carrying out air strikes on Balakot. "Indian Air Force only attacked terrorist camps. We made sure that there should be no attack on Pakistan's sovereignty and integrity. We did not kill any innocent human in our strikes. We only attacked terrorist training centres," the Home Minister said. The Home Minister's remarks come amid heightened tension between New Delhi and Islamabad following February 14 Pulwama terrorist attack by Pakistan-backed Jaish-e-Mohammad terrorist on a security convoy in which 44 CRPF personnel were killed. The two countries were close to having dangerous confrontation following Balakot airstrikes of February 26, when the Indian Air Force aircraft crossed the Line of Control to attack the JeM base camp in Khyber Pakhtunkhwa province of Pakistan. On being asked, why it was considered anti-national to ask proof from armed forces about the air strikes, Rajnath Singh said: "Why should one ask for proof from IAF, who bombed the terrorist centre only. Should they count the bodies and give proof? As a Home Minister of the country, I am saying that the operation in Balakot took place on the basis of credible intelligence input." 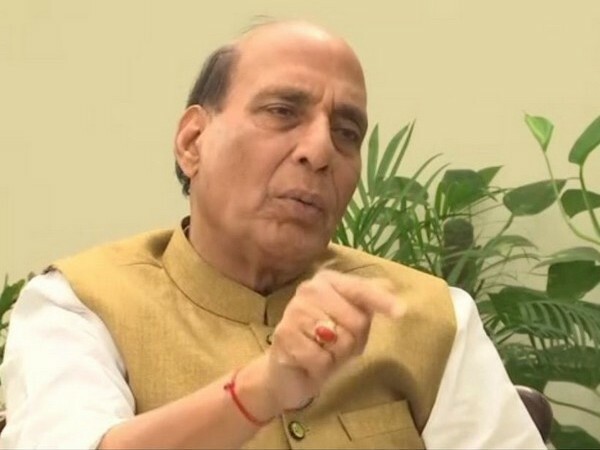 When asked that the international community is still not accepting India's stand that Pakistan used F-16 to attack Indian Air Force and that India downed one aircraft, Rajnath Singh said: "No international community has denied it (the report) Pentagon itself has contradicted it. They have denied any reports (published in Foreign Policy magazine) and said no research was done and no US general has made these comment. ""In addition to that Air Vice Marshal have presented all the proof yesterday that Indian Air Force has downed Pakistan F-16 during a retaliatory firing," he added. The Home Minister also made it clear that India was ready to hold talks with Pakistan provided Islamabad "commits" itself to take strong steps to stop terrorism emanating from its soil.